This monkeys name is now Moco Jumbi. 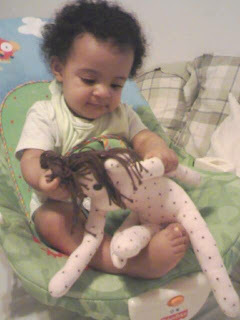 Amaya apparently doesnt play with any other toys except this monkey. I love pictures people send me of my happy customers. that's so freakin awesome. you're making people happy, t.
How rewarding is that? So much cuteness!